I think that this dish from The Wednesday Chef is one that might actually get my kids to eat broccoli! Remember that the shrimp needs to be thawed/fresh, shelled, and deveined. Personally, I’d also serve this with a side salad and maybe even some couscous. Whatever you serve it with, or if you eat it alone, I am sure it will be delicious. In a large bowl, toss broccoli with 2 tablespoons oil, coriander, cumin, 1 teaspoon salt, 1/2 teaspoon pepper and chili powder. In a separate bowl, combine shrimp, remaining 2 tablespoons oil, lemon zest, remaining 1/2 teaspoon salt and remaining 1/2 teaspoon pepper. Spread broccoli in a single layer on a baking sheet. Roast for 10 minutes. Add shrimp to baking sheet and toss with broccoli. Roast, tossing once halfway through, until shrimp are just opaque and broccoli is tender and golden around edges, about 10 minutes more. Serve with lemon wedges, or squeeze lemon juice all over shrimp and broccoli just before serving. 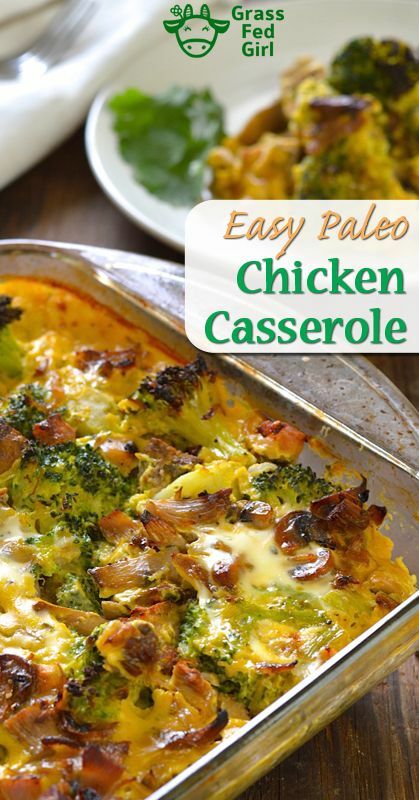 Just in time for Thanksgiving, NomNom Paleo has a delicious, and easy side dish that you can serve at home or take to any holiday get together. Cut the broccoli into florets. Toss the broccoli, bacon, and garlic cloves in a gallon-sized Ziploc bag to store in the fridge until ready to roast them. When ready to roast the broccoli, preheat the oven to 400 F and add some fat in the Ziploc bag along with a generous amount of salt and freshly ground black pepper. Seal the bag, shake vigorously, then dump the contents on a foil lined baking tray. Make sure it all fits in one layer or the broccoli won’t brown properly. Roast the broccoli for 30-35 minutes, rotating the tray and flipping the contents every 10 minutes or so. Serve and enjoy! For variation, I think this dish tastes great with a bit of acid (a squeeze of lemon or a splash of your favorite vinegar) and/or a shower of microplane-grated parmesan cheese (if you tolerate dairy).